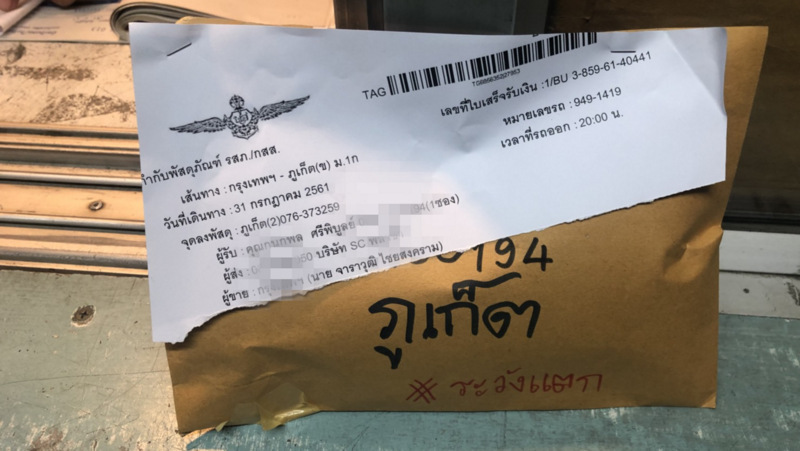 PHUKET: Police arrested a man yesterday (Aug 1) after he arrived at the Phuket Bus Terminal 1, off Phang Nga Rd in Phuket Town, to collect an envelope delivered from Bangkok by bus. The parcel contained a mobile phone that had 4.36 grams of of crystal meth (ya ice) packed inside. 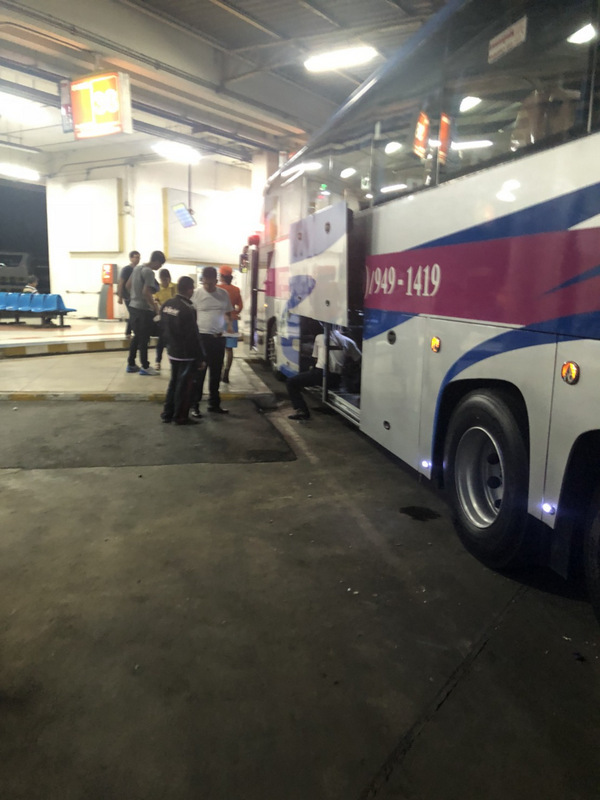 Acting on a tip-off from an undercover agent, a team of Narcotics Suppression Bureau officers at Phuket City Police led by Capt Teerasak Narasri set up a stakeout at the bus terminal, waiting for their suspect to arrive. When Kanokpol “Pop” Sripiboon, 25, from Songkhla, presented himself to claim the envelope, the officers saw that he matched the description given by the undercover agent and moved in and arrested him, and seized the drug delivery. The envelope was addressed to Kanokpol Sripiboon, and featured the name of the sender, simply “Panu”. The envelope did not feature a return address, but did have a contact number for people to call. Inside the envelope was a black Vivo mobile phone, and packed inside the phone was one packet containing 4.36g of ya ice. Kanokpol confessed that the drugs were his, reported police. He explained that on July 26, he came in contact with a man he named as Nattasak “Bird” Boontham through the Camfrog video chat and instant messaging program. The two struck up a conversation and shared their Line IDs to continue their discourse, and Kanokpol agreed to buy B4,000 of ya ice from Nattasak. Kanokpol said he originally planned to have the drugs delivered by post, but changed his mind to have them delivered through the bus network instead. 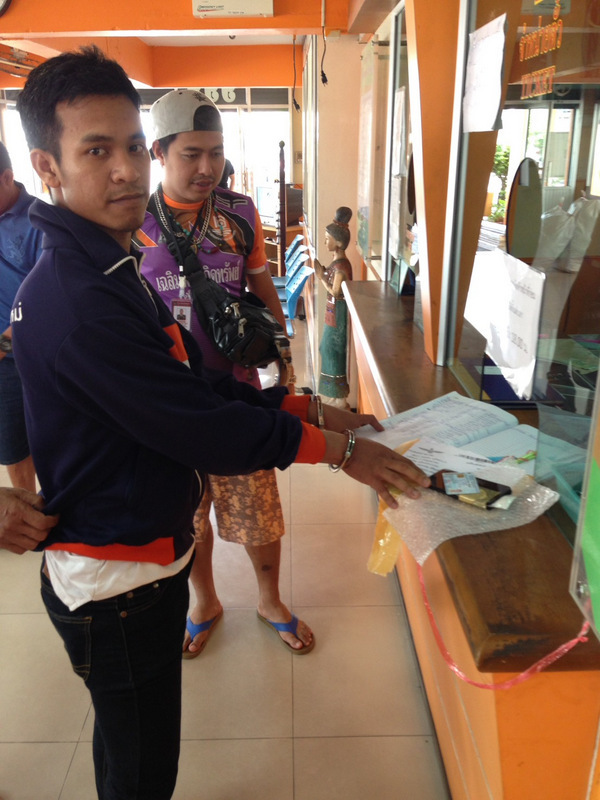 Kanokpol was charged will illegal possession of a Category 1 drug (ya ice) with intent to sell.